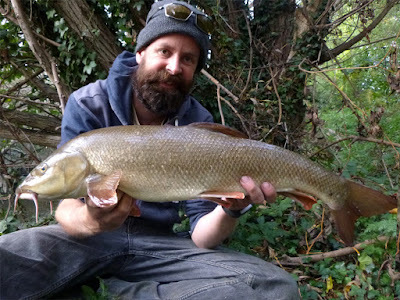 What started seven years ago with rumours of barbel fishing a bus ride away, and rekindled my love of fishing for things other than predators - barbel number 500 is in the bag. It would have been nice if #500 was a double but at 8lb 13oz and a hell of a fight - I'll take it! 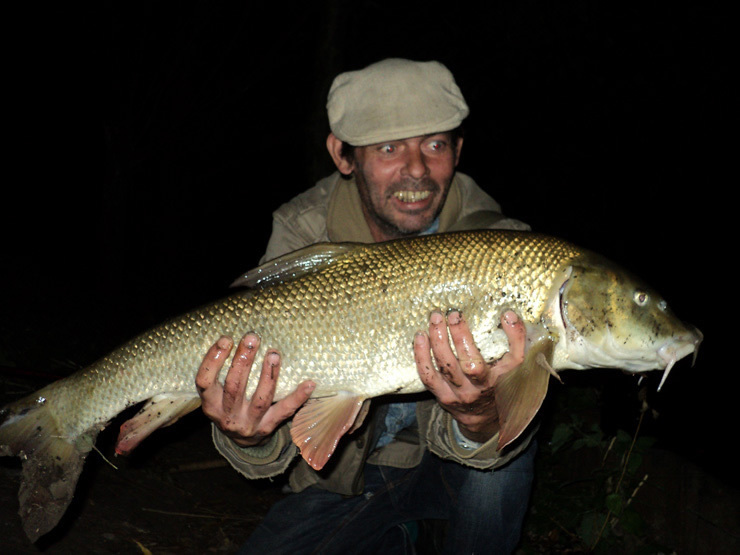 Word on the riverbank is they've turned nocturnal, which has made these last ten more difficult as I like daylight fishing. 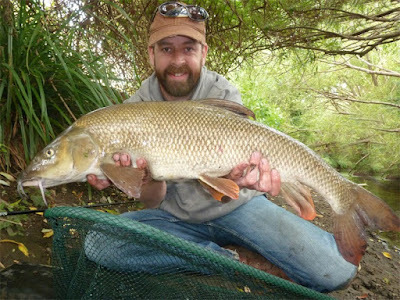 I like to stalk a fish wherever possible, it's nice to spot and target an individual fish - real heart in mouth fishing! Winter is coming and the barbel are going into hiding, they are leaving the shallows and I'm spotting fewer and fewer fish. The fishing is going to get a lot tougher from here - so I’m glad #500 found the net without a dreaded blank this season. 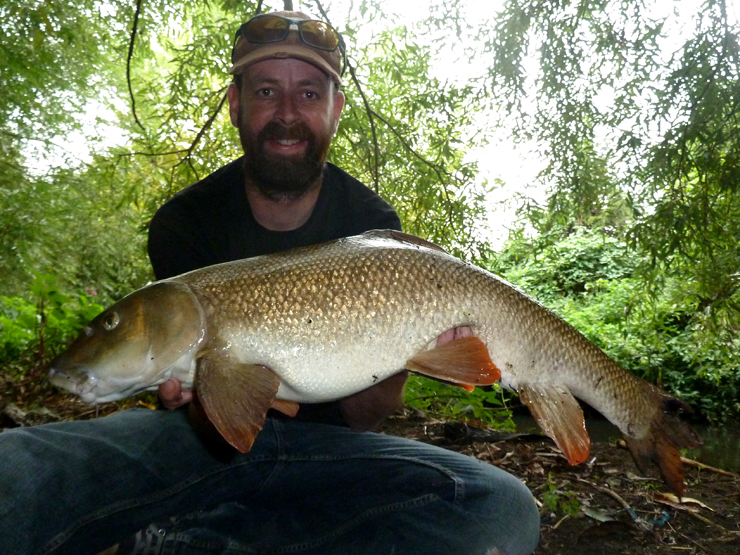 I also added another four plus chub, number nine, 4lb 3oz above - while I had a barbel resting in the net. It all started back in September 2010 when Dan and I set out to catch a local barbel, that first season we struggled but eventually had a few splashers, Dan then broke through the three pound mark before I landed a cracking best of 6lb 6oz - we were hooked! 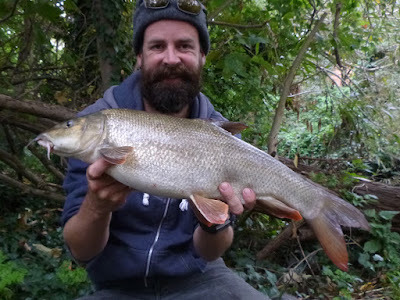 Pike Blog had become Barbel Blog! The following two seasons we were practically camped out on the riverbank, and after a sharp learning curve we were into the bigger fish, both catching double figure barbel (Dan was first), and our average weight improved to just under seven pounds. 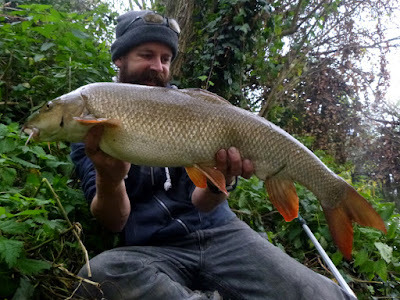 My 2013/14 season was written off with work, we did get out a few times - one of which was to be Dan's last trip to the river. 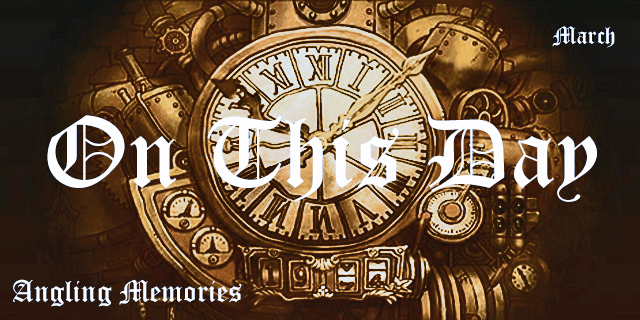 I still see him occasionally, we talk about the good old days, he sometimes reads this, and promises to return one day. Pike Blog returned to pike. And barbel. And all other species! 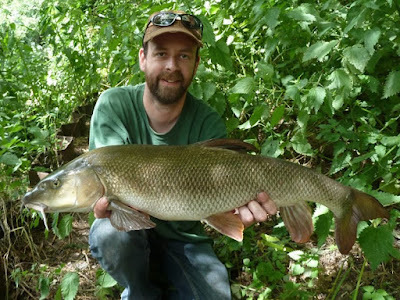 Since the beginning of the 2014/15 season I’ve mostly fished the river with short (1-3 hour) missions. Bait ‘n’ wait has been replaced with stalking, and specimen hunting with quantity - something to pull my string (although an occasional biggy is rather nice). A quick trip here and there started to add up... to 500! And the future; I'd imagine you're expecting me to say 'next target is 1000 barbel' but at this time I have no idea - perhaps? Or perhaps it's a new river, or species, who knows? But five hundred - fantastic! Would never have believed it at the start! Strawberry at 11lb 15oz, caught twice in 2017, initially some confusion over weight - but I'm now sure she was just under twelve. Stitch in 2016, even though she regularly exceeded double figures this was the heaviest of the three times I’ve caught her, 9lb 14oz. 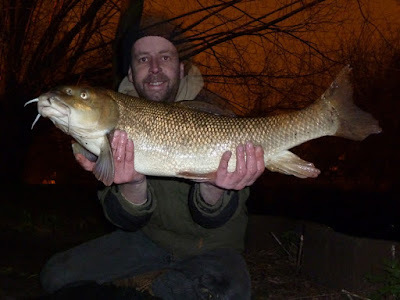 A scraper double at 10lb 1oz in the summer of 2014, wondered what the winter weight could be but haven’t seen her again. My personal best - twice! 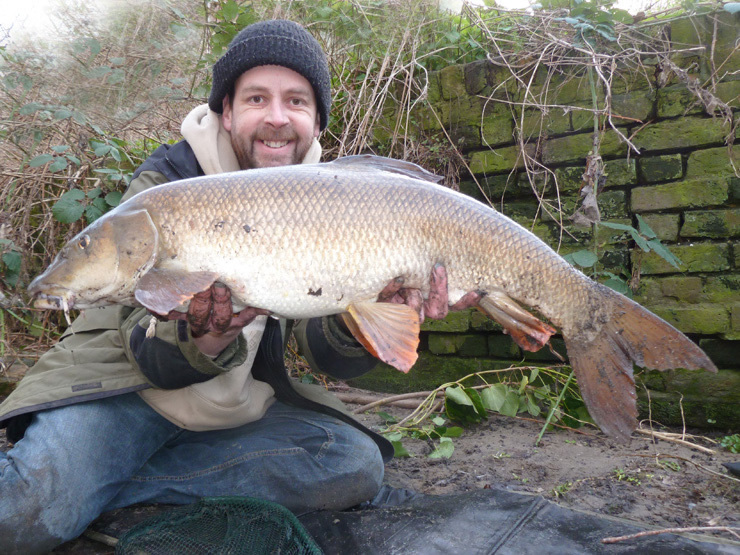 Caught at 11lb 10oz and then a month later at 12lb 4oz in the winter 2013. 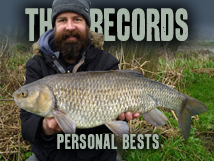 The Pig in 2013, I caught The Pig four times between 2011 and 2013 weighing between 9lb 12oz and 11lb 7oz in the photo above. My first double figure barbel, I had been stuck on 9lb 15oz for so long. Weighed 10lb 6oz back in 2012. Not included in my count but can't resist posting Dan's first double back in 2011. The Pig at 10lb 2oz - happy - nope - ecstatic! Ha, so there is some good fish in there then! Ace stuff. keep doing what you're doing mate-it ain't on fire at night.last few sessions in reverse order.-1,1,3,0,3.3.2. 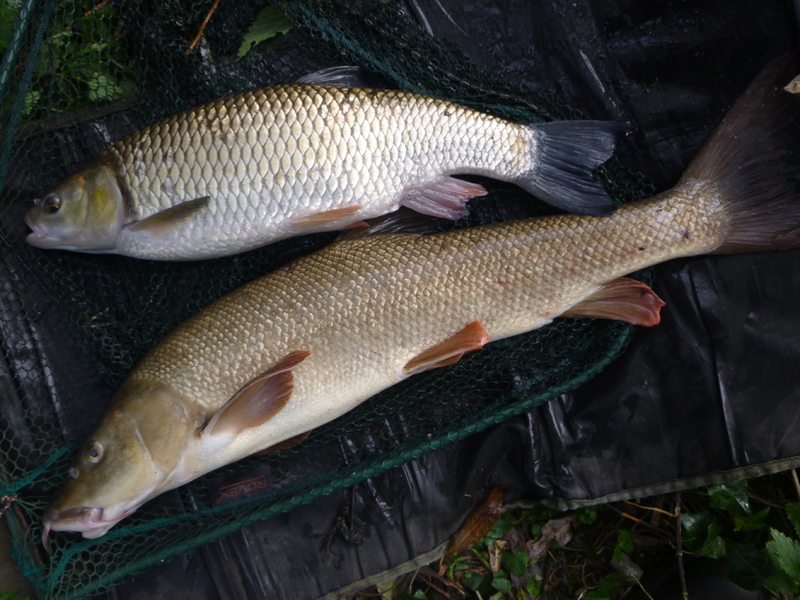 one 8lber ,one 7 in that,nothing else over 6.sunday mornings it drops so much you wouldn't get your shins wet! Think I’m going to leave them alone for a bit. How did you catch -1? 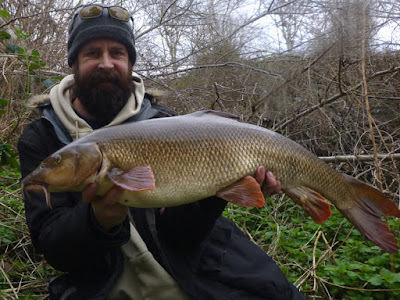 Giving barbel names? Ooh no, no, no. I’ve never given a fish a name, was always told it was unlucky. And anyone who reads this knows my feelings on luck. But turned out some of them had names already! Oh, I did name Boomerang Bob. 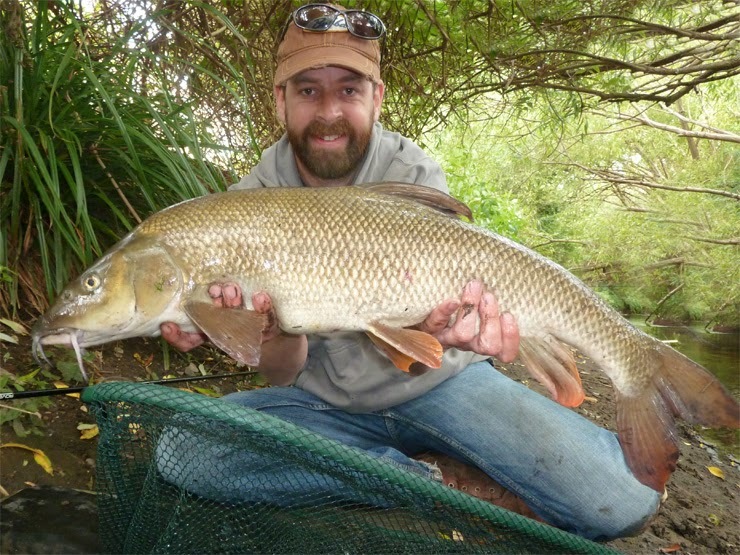 But nobody had seen that barbel before or since - so I think I dodged the bad luck on that one! i could say that was a chub or an eel,but just fat fingers!